What's the most you'd pay for .223? Thread: What's the most you'd pay for .223? 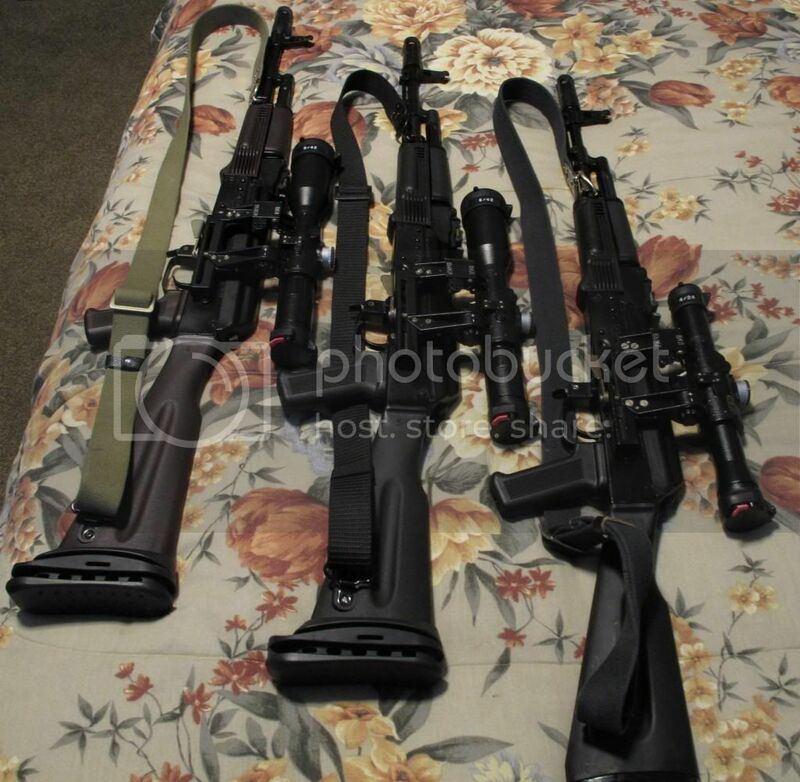 A few more AK to be looked at. I also invested in a little stock of M855 and MK232 Mod 1, for appropriate circumstances. Covered all the bases I needed. Also got proficient with the irons, red dot, and Nikon BDC600 scope for my long gun. This is a do-it-all long gun, and the only one I own, besides some sidearms. The long gun stays setup for CQC, home defense duty. A brilliant platform that does nearly everything, in spite of naysayers admonishments. Have .38 special SD rounds for my wife's Taurus, as well as .45 Ranger-Ts for my carry sidearm. Don't think we are lacking for anything, unless the unthinkable comes to pass. LOVE my Nikon M-223 2-8x32 600BDC! Is that the model you have? Mine is perfect for CQC (within reason I guess...if they're too close to use the scope, they're probably close enough I can just eyeball it lol) and long distance shooting. I even painting it and my 1911 to match the rest of the Magpul FDE on the rifle. I'll have to look at that scope. I had a 3-9x32 BSA .223BDC on my AR several years ago. Wasn't accurate past about 175 yds. Kinda turned me off to BDCs. Now I only use mil-dots with target knobs and and a ballistic chart customized to my loads. Yeah they're not 100% accurate but get you pretty damn close. If you get the Nikon ballistics app, you can punch in your ammo info (grain size, muzzle velocity, ballistic coefficient, etc.) and it will tell you at what yardage each dot is good for. For example, I have mine sighted in at around 75 yards, so dot #2 is good for 230 yards, dot #3 is around 320 yards, and so on. I think they realize that the accuracy of the BDC is primarily dependent on your ammo so they just give you something to give you a decent ball park. But I agree about the mil dots. That's what I have on my .308. With the mildot ballistics app on my iPhone, it works great for a range finder.